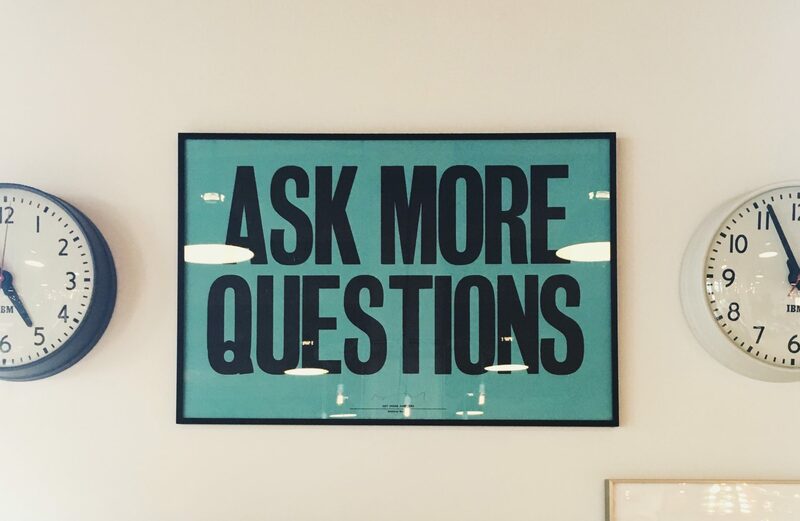 I can’t find what I need in these FAQs! If you’ve looked at the list of FAQs on this website and you can’t find an answer you need please contact your school for more help. How do I register for access to the InTouch Portal? Both students and parents must register before they are able to access their school’s InTouch portal website. Enter your email address – you must use the address that the school emailed your invitation to. 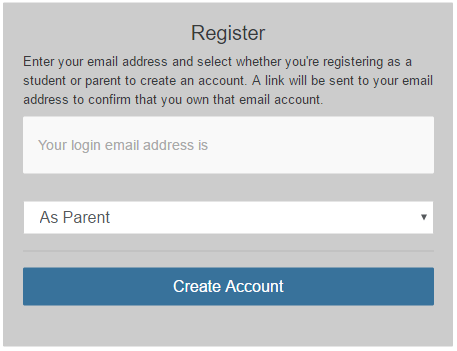 Once you have completed this step you will be logged on to the InTouch portal and be able to access information for your family. When you select this link you will be asked to enter your email address. When you do this an email will be sent to you containing a password reset link. NB: You MUST enter the email address that the school has on record for you i.e. the one you used to register to access the portal. 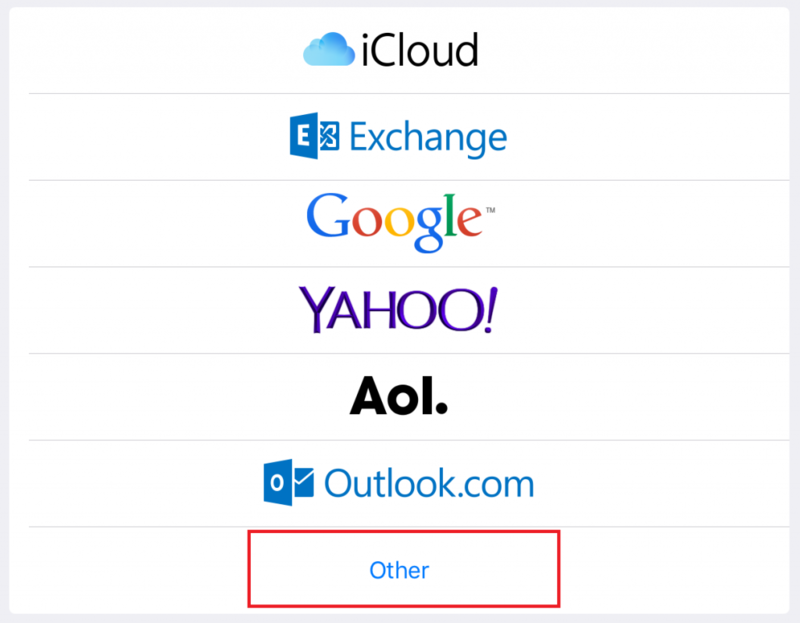 If you are not sure which email address your school has on record for you please contact your school for more help. You must log into the InTouch Portal for your school before you can change your password. 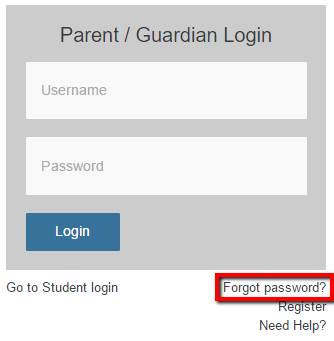 Note that if you are not able to log into the InTouch Portal, it is also possible to change your password using the “Forgot Password?” link on the portal login page. If you select the “Change my password” button this will send a password reset link to your email address. Using the link emailed to you will allow you to change your password as desired. 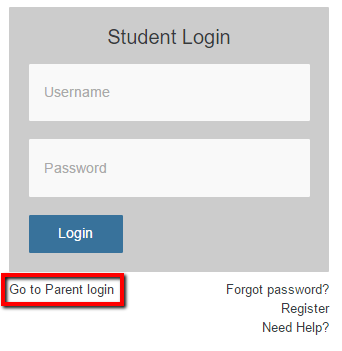 The InTouch portal provides separate login pages for parents and students. NB: your school may not be using the InTouch portal for both students and parents. Please check with your school if you are not sure about this. Using the InTouch portal it is easy to find information about your family and your school. Note that your school may not provide access to all of the options displayed in the menu above. Students and parents will also see different options in the menu above. If you can’t see some of the options above and you think you should be able to see them please contact your school for more information. Parents with more than one child at school can switch between viewing each child’s information. 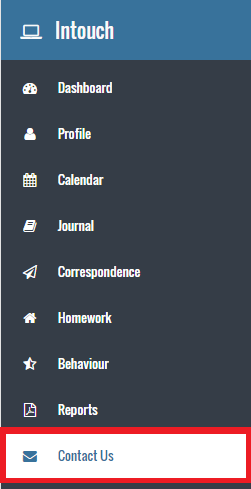 Parents can use the menu at the top right of the screen to select which child’s information to view. The name of the child that they are currently viewing is displayed in the top right hand side of the screen. Parents with only one child at the school will only be able to view information for that child. 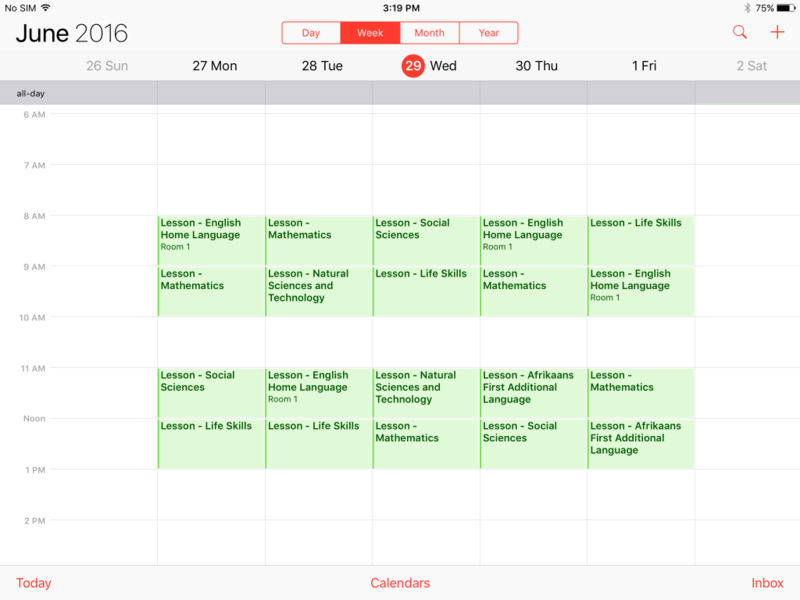 It is possible to view school calendars on mobile phones, tablets and computers using calendar links. 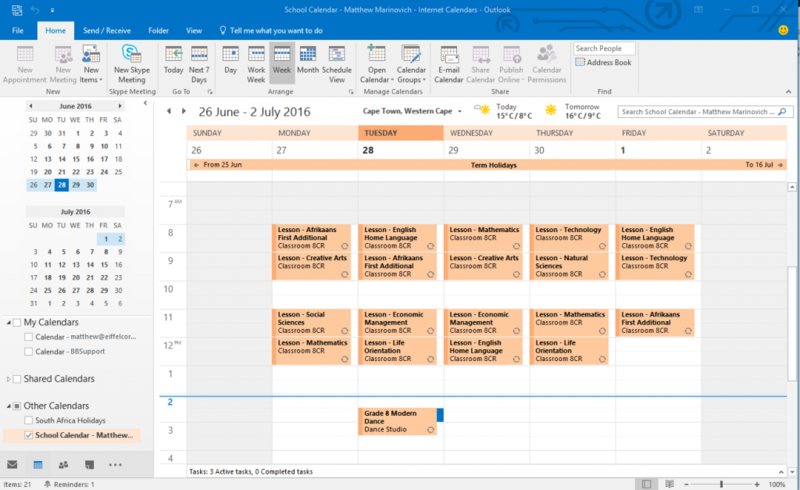 You can copy the calendar links from within the InTouch portal and use them to view your school calendars on mobile phones, tablets, Windows PCs, Macs etc. 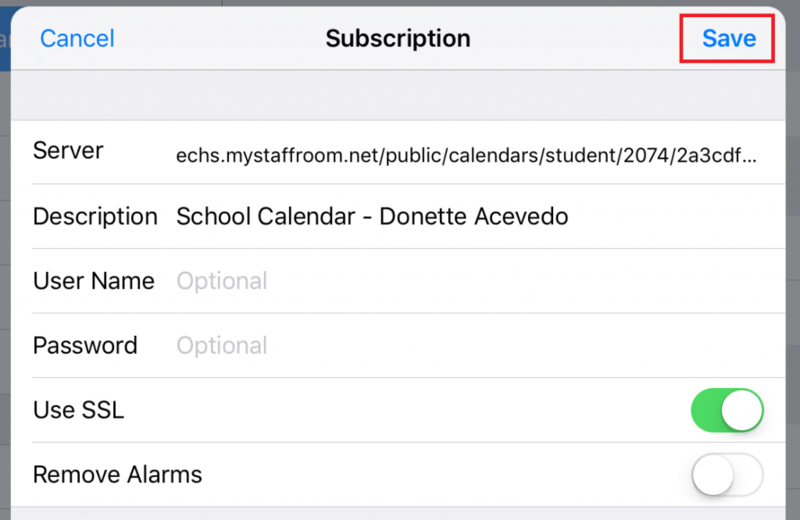 Any device or application that supports the iCal calendar format should be able to link to InTouch portal school calendars. You can get a copy of the link you need from the calendar tab in the InTouch portal. Generate a new link (aka URL). Copy the link to the clipboard on your device. Email the link to the email address you have registered with InTouch portal. 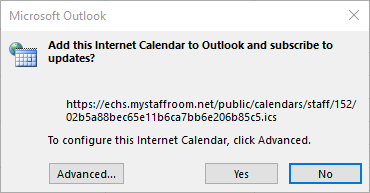 Note that these instructions are for Microsoft Outlook 2016 on Windows. A similar process should work on other versions, however there may be some variations. Note that your device must be connected to the internet via Wifi or mobile network in order to subscribe to an InTouch portal calendar. Note that these instructions are for the Google Calendar web interface circa June 2016. A similar process may work on future versions, however there may be some variations. Note that your device or computer must be connected to the internet via Wifi or mobile network in order to subscribe to an InTouch portal calendar. 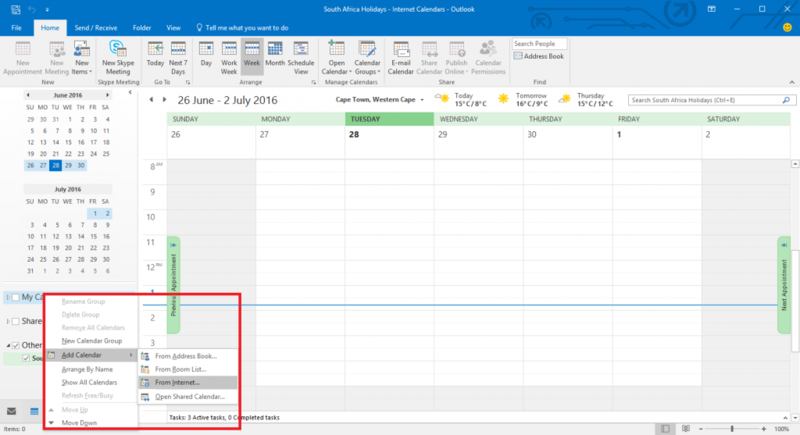 Note that the name of the calendar may be set to the calendar link, but you can change the name to a more sensible name if you wish by editing the name in the calendar settings. Note that these instructions are for the iPad or iPhone iOS version 9.3.2. A similar process may work on future versions, however there may be some variations. Note that your device must be connected to the internet via Wifi or mobile network in order to subscribe to an InTouch portal calendar. Note that these instructions are for a Samsung device and use the S Planner calendar app. A similar process may work on other Android devices and apps that support the iCal format, however there may be some variations. Note that your device must be connected to the internet via Wifi or mobile network in order to subscribe to an InTouch portal calendar. 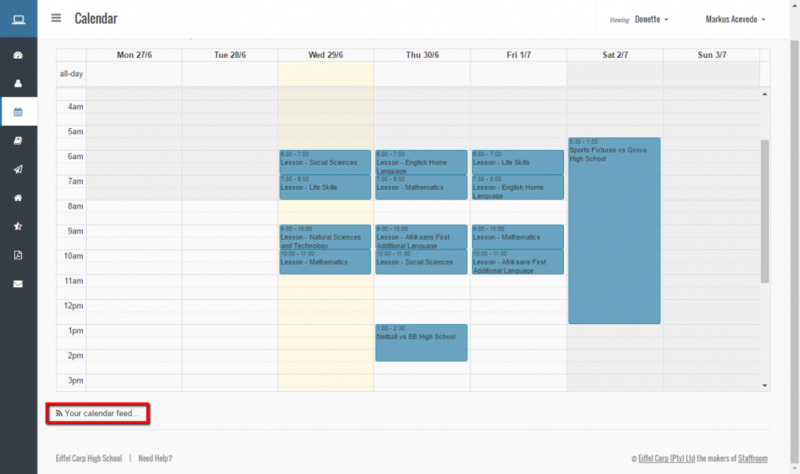 When connecting your calendar to an Android device you should first connect the school calendar to your Google Calendar. Please complete the instructions found under the “How to view school calendars in Google Calendar” before trying the instructions below. 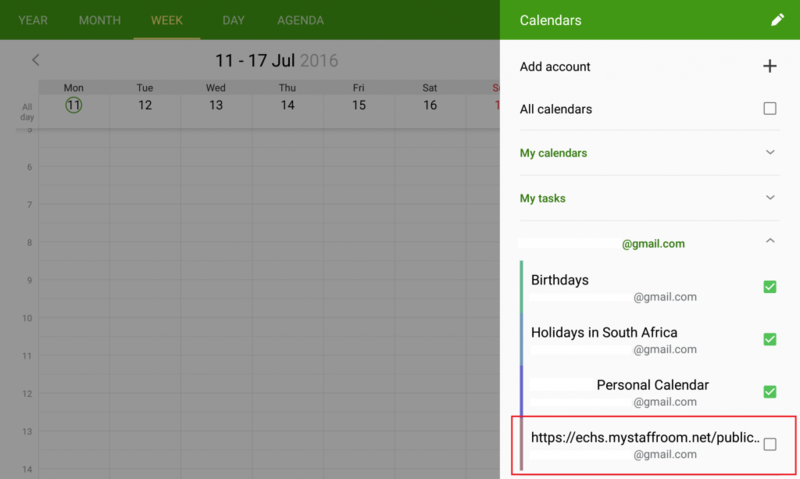 Once you have connected your school calendar to your Google Calendar you will be able to view the calendar within any Android calendar app that is connected to your Google account. 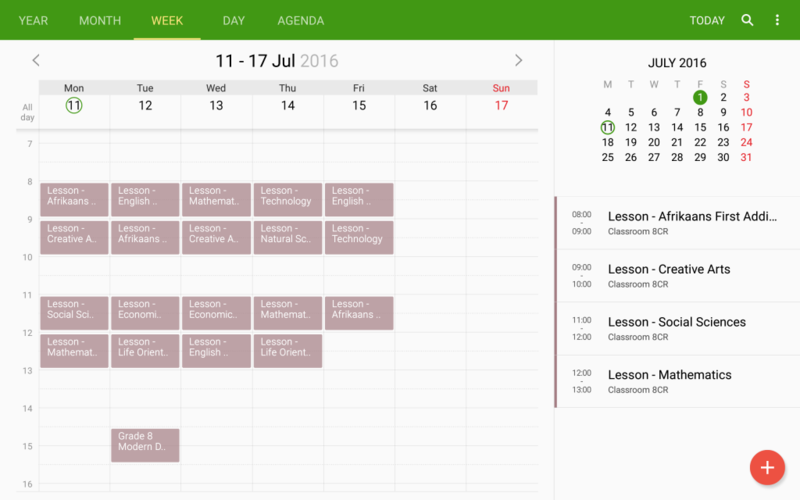 The following steps use the Samsung S Planner as an example. Your school’s InTouch Portal site is a service that is provided to you by your school as a parent or student of the school. The use of your personal data on your school’s InTouch Portal site is governed by the terms and conditions of your agreement with the school. The InTouch Portal software and services are provided to your school by our company, Staffroom Software Pty Ltd. Our agreement with your school does not allow us to share or use any of your personal stored on the InTouch Portal except at their instruction. If you have concerns about the use of your personal data you should discuss these with your school. Please see the Contact Us page within your school’s InTouch Portal site for details of who to speak to at your school. In addition to the terms and conditions set by your school we also specify the following acceptable use policy for all InTouch Portal sites. This policy specifies your responsibilities as s parent or student using the site and is intended to provide a safe and enjoyable experience for all portal users. By logging in to your school’s InTouch Portal site you are agreeing to abide by the conditions set out in our acceptable use policy above.